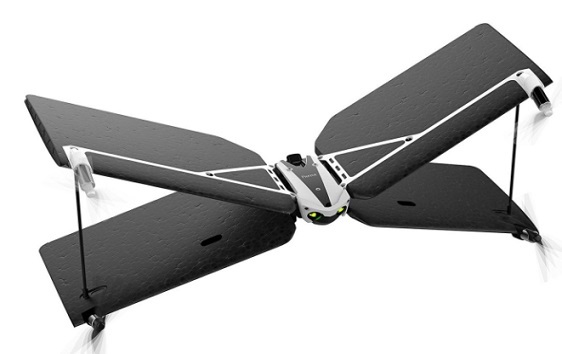 A fixed wing drone is very different from your typical quadcopter. Unlike quads, they are not able to take off vertically into the air, but instead require a runway to launch and land. 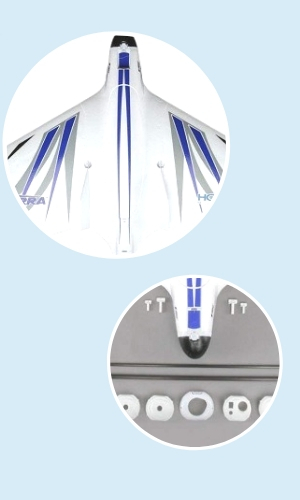 Though their methods of taking off are different, they are able to stay in the air a lot longer as a result of their ability to glide, can hold more payload weight, and have improved overall power efficiency. Because a lot of drone enthusiasts don’t know much about fixed wing drones for sale, or have never heard of them entirely, here are our top 6 best fixed wing drones picks! You can also read about our Top 32 Drones for Sale here! Here are our top 6 best fixed wing drone picks for you to choose from. Whether you’re looking for fixed wing drones for sale to add to your current collection, or are looking to invest in one for the first time, we guarantee you’ll be impressed by our selection. The Disco FPV by Parrot is an exceptional fixed wing FPV drone, but it’s on the pricier side of $544. Thankfully, however, Parrot is a brand that rains quality, so you know you’re not just paying for the brand name. One of the best pros that the Disco FPV by Parrot has to offer is the number of things you can do with it. It’s a fixed wing camera drone unlike any other. 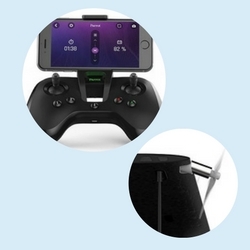 It gives you the option to customize your flight experience with a number of accessories, such as the Cockpitglasses and the Skycontroller. One of the biggest cons, however, is that you will need to purchase the FreeFlight Pro app on your smartphone to gain access to additional features. The E-flite Opterra 2m comes from some of the best premier aircraft designers the RC aviation world has ever seen. It’s a fixed wing drone that isn’t exactly well known, but that doesn’t mean it won’t totally rock your world. It can be yours to keep for as little as $262. The E-flite Opterra 2m is the best option for those who want to use their own cameras. The optional camera nose has up to 2 forward-facing stations for HD and/or FPV cameras. A downward-looking camera, located in the bay belly, is designed for a number of different GoPros, such as the Hero 3, the Hero 4, and other similar HD cameras. This may or may not be a con for most users, but it’s quite a bit model. It weighs just under 4 pounds, but the size of it may be too big for some to opt for. The FPV Black X8 by Skywalker may be expensive for a fixed wing at $300, but, trust us, it’s well worth the investment. It’s one of the sturdiest rigs to work with if you’re looking to bring in your own gear. The biggest pro of the FPV Black X8 by Skywalker is no doubt the fact that it’s a sturdy rig that won’t let you down. As we previously mentioned, however, you’re going to need to supply a lot of equipment on your own, and the price can be swaying for some. 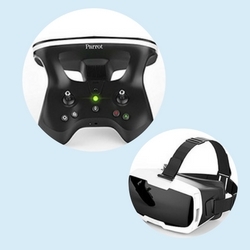 The Swing + Flypad is one of the more interesting releases from Parrot, which is currently priced at around $80. It not only has an interesting design, but it’s got some surprising specs hidden up its sleeve. One of the biggest pros that the Swing + Flypad by Parrot has to offer is the fact that it’s both a quadcopter and a fixed wing drone all in one package. It’s able to take off and land like a drone, but it flies with the smoothness of a fixed wing plane. Although, you need to be careful when it comes to flying on a breezy day. Because this fixed wing drone is built to hit high speeds rather quickly, wind can cause it to be carried off quite easily. The Sonicmodell Flywing by Crazepony is a fixed wing drone kit that will set you back approximately $90. It’s a decent setup that has a ton of potential just waiting for you to discover! 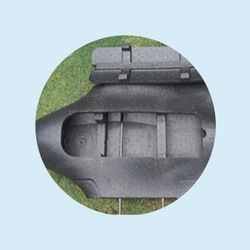 One of the best things about the Sonicmodell Flywing by Crazepony is the fact that it comes with a roomy equipment bay that is perfect for setting up a fixed wing FPV drone setup. Unfortunately, because it’s a kit, you’re going to need to supply a ton of gear on your own. With this in mind, if you’re not someone who wants to build their own rig, we suggest scrolling to one of our other top picks. The F949 by KKmoon is an exceptional yet highly impressive fixed wing drone that will only cost you $60. It’s designed in accordance with a real Cessna-182 plane! One of the best things about the F949 by KKmoon is the fact that it has an adjustable rudder volume size. This makes it easier to do difficult movements, especially if a child is flying it for the first time. If you’ve never invested in a fixed wing drone, then now is definitely the time to consider picking one up for yourself. They are worth their weight in gold! What’s a fixed wing drone? A fixed wing drone is not a conventional drone. Instead of lifting off straight into the air, a fixed wing drone requires a runway to take off and land safely and efficiently. Are there any fixed wing FPV drones? Yes, there are actually a ton of fixed wing FPV drones out there. 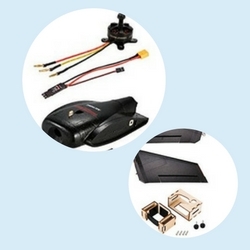 Some come with an onboard FPV camera, while others give you the option to add your own gear into the mix. What’s a fixed wing drone kit? A fixed wing drone kit typically only comes with the wings, and maybe a couple of other pieces of gear. 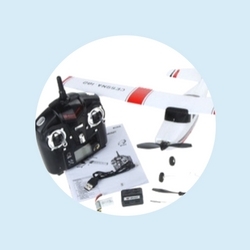 In general, though, a fixed wing drone kit, more often than not, requires you to supply your own gear, such as motors and landing gear, for example.